And my brother, Prime Minister Abiy Ahmed, knows where Rwanda is coming from, having served in an Ethiopian peacekeeping contingent after the Genocide, together with troops from elsewhere in Africa and beyond. The witness of perpetrators is irrefutable proof, if any was still needed, that genocide happened. The Nyange students who refused to be separated into Hutu on one side, Tutsi on the other. They never betrayed each other. Six were killed. Forty were wounded. All are heroes. But most of us are neither survivors nor perpetrators. Three-quarters of Rwandans are under age thirty. Almost 60 per cent were born after the Genocide. As for the dishonourable who remain impervious to regret, it is not our problem. 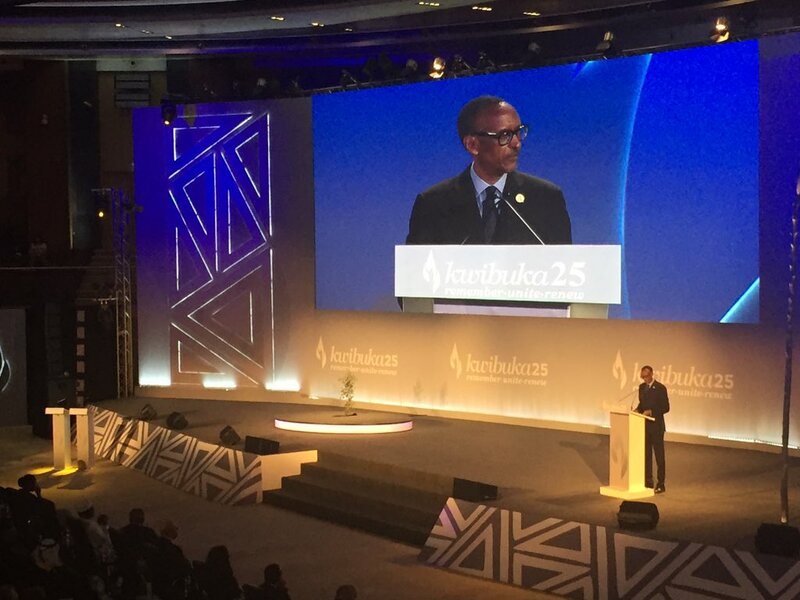 It does not stop Rwanda from making progress, even for one moment.